Looking for deals in Manchester? Featuring free WiFi throughout the property, Motel One Manchester-Royal Exchange offers accommodations in Manchester, 1312 feet from Deansgate. Guests can enjoy the on-site bar. Perfect location, very clean! King Street Townhouse is located in Manchester, 5 minutes' walk from Manchester Town Hall. Guests can enjoy a meal at the restaurant or a drink at the bar. The bed was super comfy. Excellent spa/pool facilities. The French front desk clerk went above and beyond to make our trip memorable! Motel One Manchester-Piccadilly is located a 5-minute walk from Manchester Piccadilly train station, offering a central-city location, free WiFi and use of on-site bar One Lounge. I would suggest this clean and comfortable hotel to all pple . I was a bit worried about the noise around it due to it’s location which is few meters from the Pidacilly station. But it was pretty calm from inside. I loves it’s modern & unique design. And the stuff are friendly and reception 24/hours available with smile. 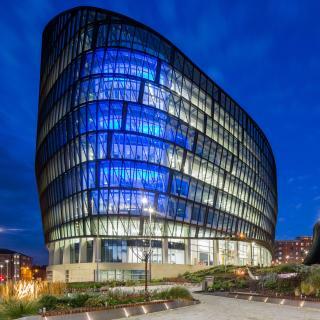 Innside Manchester by Melia is located in the city center and within 5 minutes’ walk of the train stations at Deansgate and Oxford Road. It offers a gym, sauna, a restaurant and bar. Very modern spacious and comfortable. Cheap too. Located in the center of Manchester, Hotel Gotham is a 3-minute walk from Manchester Arndale Shopping Center. It offers a rooftop terrace and free WiFi. Everything, really. Traveling to attend award dinner nearby, wanted a place my teenage daughters would enjoy spending the evening in whilst I was out. We all loved it. Staybridge Suites - Manchester - Oxford Road is located in Manchester, a 5-minute walk from University of Manchester, and has free WiFi. This 4-star hotel offers a 24-hour front desk and an ATM. All amenities and services are amazing, great location and the staff is very accommodating. Located next to Manchester Victoria station, Hotel Indigo - Manchester - Victoria Station offers accommodations in Manchester. Love this hotel, Room is big and great location. Facilities in the room is above expectation. 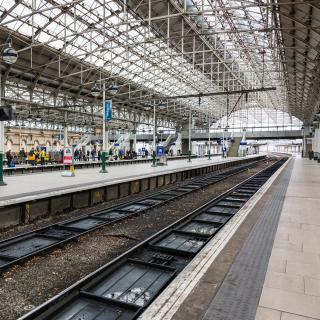 The Ainscow is set next to Salford Central Railway Station and just 10 minutes’ walk from Manchester’s lively center and the trendy Northern Quarter. The property was beautiful. Our room was excellent and we enjoyed the restaurant and bar. Set in the heart of bustling Manchester, this 19th-century boutique hotel offers stylish, luxurious rooms with 32-inch flat-screen TVs. 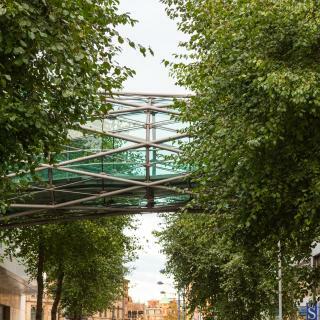 Oxford Road Rail Station is just 5 minutes’ walk away. Eveything was neat and clean, great breakfast service and professional staff. Milton Manchester Hotel offers accommodations in Eccles, 2.5 mi from Salford. Central Manchester is 4.3 mi away. Guests can enjoy the on-site restaurant and bar. This was a great trip for me and my family and we loved the breakfast each morning. Located in one of the largest industrial estates in Europe, Holiday Inn Express - Manchester - TRAFFORDCITY is adjacent to EventCity and 0.8 mi from Trafford Center. Reaaaaally good place if you are planing on working in the IT park outside of town. Located in Manchester, DJ Suites The Element is a 2-minute walk from Old Trafford Stadium, home of Manchester United Football Club. The room was clean and comfortable and staff very helpful. Just 984 feet from Manchester Piccadilly Station, Pendulum Hotel features a stylish restaurant and conservatory bar. In the bustling city center, the hotel is 1 mile from O2 Apollo. All hotel staff were friendly and helpful, the nbar staff made the trip! This Holiday Inn Express offers modern rooms, each with a flat-screen TV, just 10 minutes’ drive from Manchester’s bustling center. There is a lounge, a residents bar and free parking. Great location for the event we were attending at Strawberry Gardens Inn. The Hello Hotel is 5 mi from Manchester city center, with 2 nearby train stations and free parking. Each room comes with free Wi-Fi and an private bathroom with a heated towel rail. Always friendly staff have stayed here many times. This Victorian school has been transformed into a chic town house with roof garden. It is next to Granada Studios and close to the shopping and theater districts. Comfortable, homeyness feel to it. Great experience from a New Yorker. Boasting stunning rooms with contemporary décor, Velvet Hotel is on central Manchester’s vibrant Canal Street and a 5-minute walk from Piccadilly Rail Station. I've stayed at velvet previously and knew what to expect from the rooms and facilities. Located a 10-minute walk from Victoria train station, Shudehill Interchange and a 15-minute walk from Piccadilly Station, AC Hotel Manchester City Center is set on the edge of Manchester’s Northern... Nice and clean as it is new, not busy and helpful staff. The Midland is an award-winning, 4-star luxury hotel with a spa in Manchester city center. It offers stylish, air-conditioned rooms with free WiFi. The spa facilities are available at a surcharge. Very clean and quiet rooms, couldn't hear any other guests. Which neighborhood is the best one to stay at in Manchester? Manchester City Center, Didsbury, and Old Trafford are popular with other travelers visiting Manchester. Which hotels in Manchester are good for families? Many families visiting Manchester loved staying at Hotel Indigo - Manchester - Victoria Station, Staybridge Suites - Manchester - Oxford Road, and Motel One Manchester-Piccadilly. What are the best hotels in Manchester near Manchester Airport? Travelers who stayed in Manchester near Manchester Airport (MAN) have said good things about Radisson Blu Manchester Airport, Crowne Plaza Manchester Airport, and Clayton Hotel, Manchester Airport. What are the best hotels in Manchester near Manchester Arena? Some of the best hotels in Manchester near Manchester Arena include CitySuites Aparthotel, Hotel Indigo - Manchester - Victoria Station and Manchester City Centre Apartment. How much is a hotel in Manchester for this weekend? The average price per night for a 3-star hotel in Manchester this weekend is $286 or, for a 4-star hotel, $478. Looking for something even fancier? 5-star hotels in Manchester for this weekend cost around $487 per night, on average (based on Booking.com prices). Which hotels are the best ones to stay at in Manchester? King Street Townhouse, Motel One Manchester-Royal Exchange, and Hotel Football, Old Trafford, a Tribute Portfolio Hotel are some of the popular hotels in Manchester. Which hotels in Manchester are good for couples? 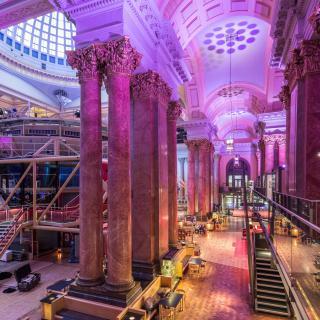 These hotels in Manchester are highly rated by couples: Hotel Indigo - Manchester - Victoria Station, King Street Townhouse, and Staybridge Suites - Manchester - Oxford Road. How much is a hotel in Manchester for tonight? On average, it costs $80 per night to book a 3-star hotel in Manchester for tonight. You'll pay around $153 if you choose to stay in a 4-star hotel tonight, while a 5-star hotel in Manchester will cost around $192, on average (based on Booking.com prices). Which hotels in Manchester offer an especially good breakfast? For hotels in Manchester that serve highly-rated breakfasts, try Hotel Indigo - Manchester - Victoria Station, Holiday Inn Manchester - City Centre, and Didsbury House Hotel. How much does it cost to stay in a hotel in Manchester? On average, 3-star hotels in Manchester cost $90 per night, and 4-star hotels in Manchester are $158 per night. If you're looking for something really special, a 5-star hotel in Manchester can be found for $220 per night, on average (based on Booking.com prices). Which hotels in Manchester have nice views? Staybridge Suites - Manchester - Oxford Road, Hotel Indigo - Manchester - Victoria Station, and Hotel Football, Old Trafford, a Tribute Portfolio Hotel got great room view-related reviews from travelers in Manchester. 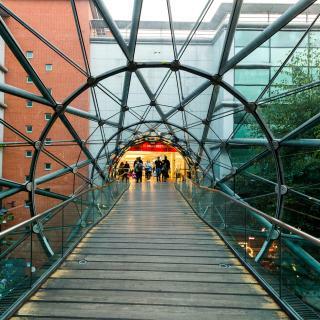 With an industrial past and a modern outlook, the complex fabric of Manchester is interlaced with interesting museums, English pubs and shopping centers. Dash straight into the luxurious Selfridges and Triangle departments stores before checking out the old-English charm of the Shambles. Manchester wouldn't be the same without its 2 famous football clubs and fans can go wild at either of the Old Trafford or City of Manchester Stadiums. Music fans will adore the many shows performed at the Manchester Arena, the largest of its type in Europe, and the BBC Philharmonic Orchestra. The cultural foundations of this predominantly red-brick city are on display at the Manchester Museum and the People’s History Museum. 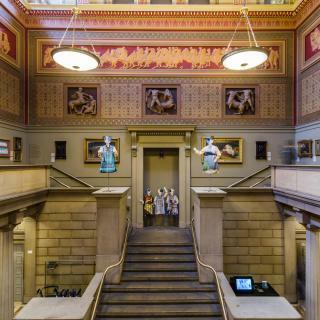 If art is you preference, the extensive pre-Raphaelite collection at the Manchester Art Gallery is a sight to behold. Whether you’re flying into Manchester International Airport for business or partying in one of the 500 bars in city, Booking.com’s hotels and apartments can match your accommodation needs. Enjoyed walking around the university. Enjoyed walking around the university. Delicious pub across the street from the hotel. Name: Revolution. Easy to get around. We walked everywhere. Hotel had umbrellas we could use ! The Royal Exchange Theatre was unbelievable. Saw a wonderful and very intense production, and I do mean INTENSE! Called "Parliament Square ". Whew! Manchester is a very nice and diverse city. Manchester is a very nice and diverse city. The city is vibrant beautiful places to see good restaurants and nice hotels but please STAY AWAY FROM THE MERCHANTS HOTEL. 1355 people rated it below the expected level. THE HOTEL ROOMS ARE NOT FIT FOR PURPOSE. Enjoyed the Ethiad , Arndale Centre & the Trafford Centre. Must say I was shocked at the number of people sleeping rough. When I was last there 2 years ago this was minimal. Pubs around the Britannia hotel are mostly night clubs etc but good location for buses / trains. We came to Manchester for a concert at the Arena and instead of driving back home to West Yorkshire stayed for one night in the hotel. Lots of great places to eat - both independents and chains. Lots of great shops. 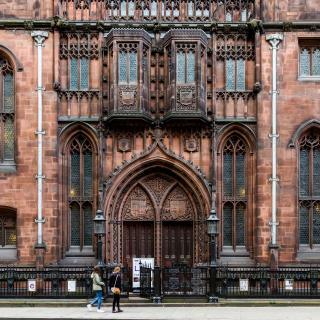 We visited the John Rylands Library which was only a short walk from the hotel and was very interesting. We picked up a leaflet about guided walks around Manchester but were short of time so we'll probably come back and do a walk next time. Chinatown is just opposite the hotel great for having a walk around, on the side there is a secure multi-storey carpark ask the staff at reception to give you discount on parking ticket. We also went to a sheesha garden opposite the multi storey car park. We went to Zouks for our meal fantastic. Specially if your a couple on a romantic occasion like myself it was or anniversary the setting in the restaurant matches that occasion. Manchester is also great for being with friends going out to clubs have a bit of fun or going out for a meal with family/friends. Great location-very close to the train station, tram to Manchester city game-right across from the central public library, walking distance from the national art gallery, walking and running distance to the nearby canal for a morning jog to old Trafford park… And the restaurants inside the hotel are perfect. Great service - I just ration and concierge both! The Bathroom showers and heated towel rack was great.Decent gym… treadmills and stationery bikes. The pool is definitely not a lap swimming pool. Very spacious rooms for family. We had a great stay at Mercure Manchester Piccadilly. The hotel is right in the city centre overlooking the Piccadilly park. The staff on duty Claire Chapman and Jane were especially extremely warm and welcoming. When they realised it is my husband's birthday, they upgraded us to a beautiful suite and had the room decorated with balloons and notes and chocolates. We were overwhelmed with their hospitality, made our day! Thank you Claire and Jane. The hotel is so good! There is a kettle kit in the room, our room was big and clean. There is a bar, perfect for a beer when all pubs are closed. The location is wonderful! Castlefield is a characteristic and vibrant district of Manchester. 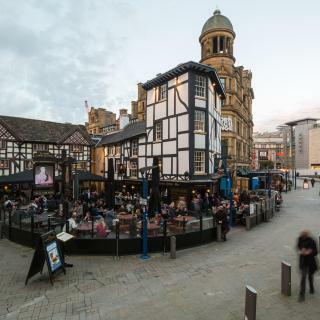 There are a lot of pubs and you can arrived to the city centre in 10-15 minutes! Metrolink station is very close, 5 minutes from here! Excellent hotel, clean, smart and the room I had was immaculate. Great views and very spacious. Had a Club Room on the 11th floor. Bathroom was very luxurious. Would recommend this to anyone. Was a high price but still one of the cheaper offerings in Manchester City Centre given a football match was on. The room was much nicer than expected from an ibis hotel. Feels bigger than it is due to the subtle design nuances. The facilities are very modern and there is ample space in the room. The bathroom is unique yet sufficient. Will definitely stay here again in Manchester. The staff were super friendly and helpful. Especially on the Saturday afternoon and evening In the reception and bar. Keep up the great work. Also a great price for a hotel near Manchester city centre compared to the prices in the central hotels when we booked. Great location. Clean and comfortable room. Very good wifi. Very convenient. Strongly recommend for those who travel to Manchester. From Piccadilly Station, you can take free shuttle bus no.3 to King street and walk less than 100m to the hotel. The bed was super comfortable and the interior of the hotel is very nice! The location was also great - 5 minutes to the city centre by walk. Would definitely stay there if I visit Manchester again. Beautiful hotel with a lovely accommodating staff! Very cozy beds, and very clean throughout. Perfect location. GREAT PRICE. Perfect place to stay for a night away in Manchester with my boyfriend. Stylish hotel in a great location. Easy check in and nice meal in the tavern restaurant with good service. Excellent room also. Definitely one of the better hotels in Manchester city centre. I got a lovely view from my room as the hotel is right next to Manchester Cathedral. Staff were really friendly and service was good. Convenient location for Manchester city centre. Clean modern and tucked nicely between Piccadilly station and the city centre. Staff were great. Always our "go to" hotel when in Manchester. Me and my friends loved it and plan on using the hotel again when we are next in Manchester. Couldn't complain staff were very friendly and helpful.